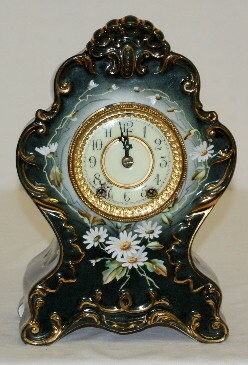 Waterbury "Parlor # 73" China Clock has pendulum and key; porcelain dial; marked Waterbury movement; case decorated with white daisies on green. Running and gongs. (Dial damaged by 7 & 8.) 10 3/4"